One unfortunate event after another has befallen this month’s pledge drive at KALW in San Francisco. 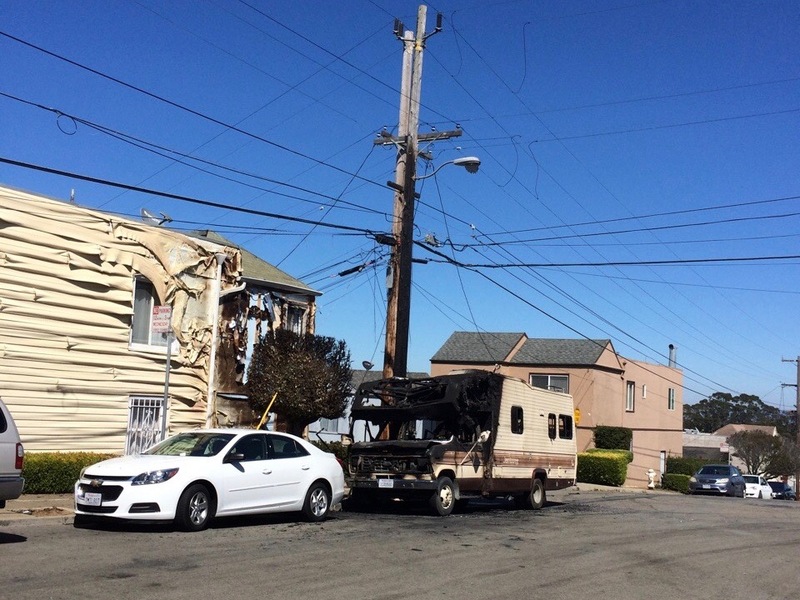 Late Saturday morning, a motor home parked next to a utility pole in the station’s neighborhood caught fire, said Annette Bistrup, KALW development director. The fire crawled up the utility pole and affected telephone wiring. No one was hurt, Bistrup said. The San Francisco Fire Department determined that the fire was accidental, according to a spokesperson. “We noticed not much action was going on in the phone room, and then a little bit later, we realized that this fire had occurred,” Bistrup said. The fire, which was quickly contained, affected the station’s lines for incoming and outgoing fundraising calls, as well as its office phones. “It was not a very dramatic fire, but it had a dramatic outcome,” Bistrup said. It rendered a number of local phone lines, including KALW’s, useless for most of the weekend. The station typically uses a call center for overflow phone calls. But due to its old-fashioned phone system, it couldn’t forward calls to the center. “The net effect was that if anybody tried to call, they wouldn’t get through, and they wouldn’t be able to speak to the call center,” Bistrup said. “It was definitely not good timing,” she said. The station cancelled weekend shifts planned for volunteers. But thank goodness for the internet. The station typically draws two-thirds of donations through digital platforms. During locally produced music Saturday night, DJs suggested listeners give online instead. That night, “there was no major decrease in the number of people who reached out or even in the number of dollars that came in,” Bistrup said. Sunday, however, was unusually slow. Phone lines were restored at 10 p.m., but no volunteers were around to take calls. Days since have also dragged. The station was aiming to reach an ambitious goal of $375,000 during the drive, which started Sept. 13 and is expected to conclude Friday. By Tuesday afternoon, KALW had raised about $206,000. If KALW fails to reach its goal, it may extend the drive or add a direct-mail campaign at the end of the year. It will hold its next on-air drive in May 2017. The radio show and podcast, a finalist in Current’s Local That Works contest, explores a changing San Francisco through the people and institutions that intersect at street corners. Support KALW. It’s the best of public media.